Machine screws are usually found in smaller sizes. They are inserted into pre-drilled holes and commonly used to hold two pieces of metal together. 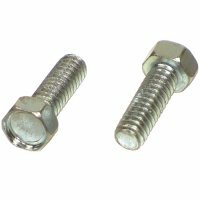 A machine screw nut with the appropriate thread size is threaded onto the shaft of the machine screw for tightening purposes. 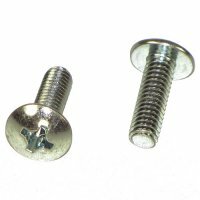 Machine screws are threaded along the entire shaft of the screw. NutsandBolts.com stocks machine screws with pan, round, truss, flat and hex heads. Machine screws are commonly used for electrical connections, engines and machinery.